The Master Lock No. 8156DPS Keyed Cable Lock is 5ft (1.8m) long and features 3/4in (20mm) diameter braided steel for maximum strength and flexibility. The protective vinyl coating protects against scratches. 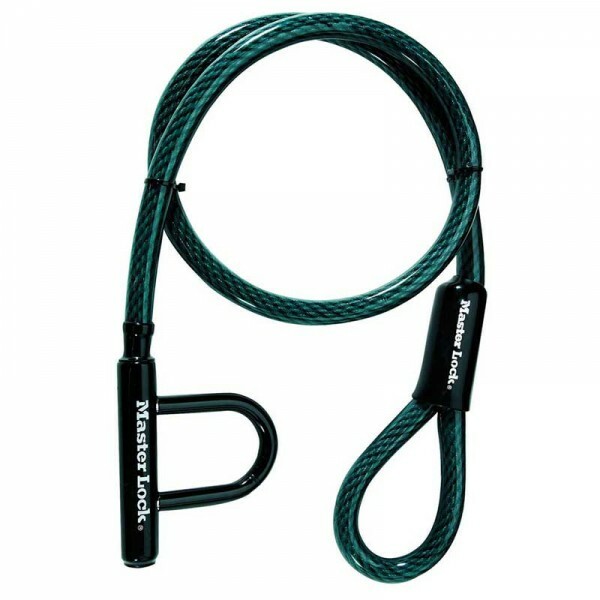 The integrated mini u-lock offers locking versatility. The Limited Lifetime Warranty provides peace of mind from a brand you can trust. Looped end with integrated mini u-lock for locking versatility. Great for locking Chevrolet Volt portable car charger while charging.